Today let’s let’s talk about how to make an ice pack by making your own homemade ice pack with baggies and your foodsaver. Your little one bumped his knee playing basketball/riding his bike/wrestling with his brother. Your little princess bonked her elbow twirling circles/turning cartwheels/jumping on the trampoline. What to do? You look in the freezer for something to put on the boo-boo and you come up with 2 options – a bag of frozen of peas or some ice cubes you can throw in a baggie. 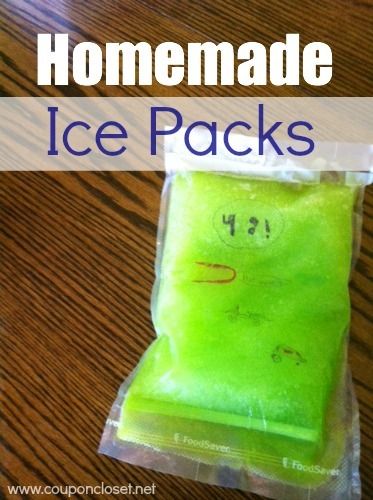 Homemade Ice Pack are easy to make! I don’t know about your kids, but mine would not be satisfied with either option! 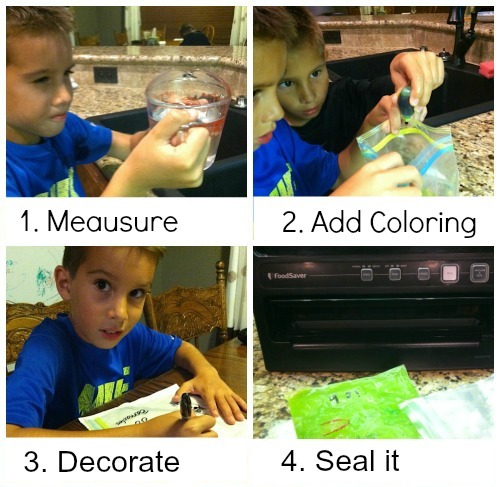 If your kiddos are the same, why don’t you try this Homemade Ice Pack! You will be amazed how fast and easy these are. Plus the kids Love making them with you. Why alcohol? The rubbing alcohol will prevent the water from freezing completely. The contents of your ice pack will actually seem more like gel. The ‘gel’ will mold to the boo-boo instead of being hard like ice would be. As an added little extra fun, I had my boys decorate their ice pack with Sharpie markers. I just had them draw whatever makes them smile (so when they are using their ice pack after a boo-boo they will look at it and smile). 🙂 If you do this, be sure to do it on the ziptop bag before you fill it with anything (it’s much easier that way). In your baggie, mix 2 cups of cold water with 1 cup of rubbing alcohol. Then add about 5 drops of your chosen food coloring (this is totally optional). If you have a name brand freezer bag, you can stick it straight in the freezer. If you have a generic baggie, I suggest you double bag it so you don’t have any leaks in the freezer. Now, I chose to ‘freeze’ my bags before I put them through the Food Saver just so my baggie contents would be a bit more on the solid side. Once your ice pack is ‘frozen’, place it inside of a Food Saver bag and vacuum seal it. (Use your Food Saver instruction manual for specific directions on vacuum sealing items.) Wa-la! 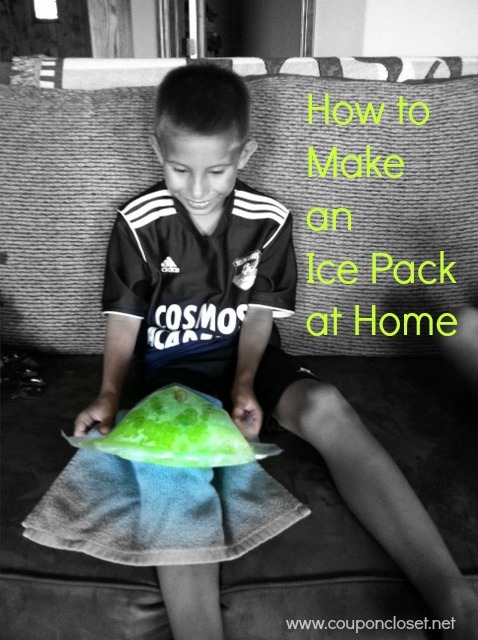 Your kiddie ice pack is done! 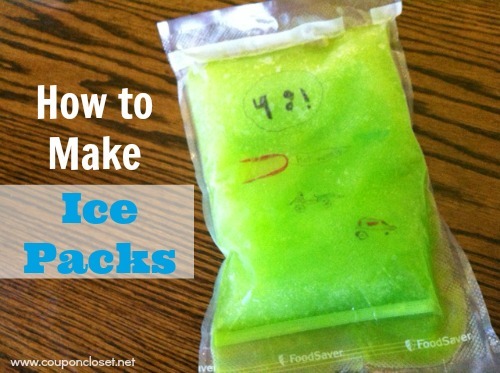 Will You Make Your Own Ice Packs? These are awesome! Love the addition of the food coloring – definitely beats the frozen bag of peas I pull out of the freezer as an improptu ice pack!